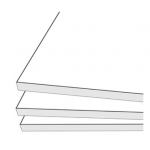 Foam Board Box (30 sheets) Foam Board 5mm white, Self Adhesive 32" x 40"
Foam Board Self Adhesive Foam Board 3 mm white, 32" x 40"
Self Adhesive Foam Board 3 mm white, (32" x 40") 82 cm x 102.. 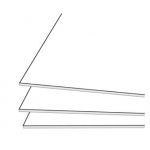 Foam Board 3 mm white, Acid Free 32" x 40"
The original foam board that is still the preferred ch.. 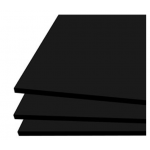 Foam Board 5 mm white, Acid Free 32" x 40"
Foam Board Box (30 sheets) Foam Board 3 mm white, Acid free, clay 32" x 40"
Foam Board Box (30 sheets) Foam Board 3 mm white, Self Adhesive 32" x 40"
Foam Board Box (30 sheets) Foam Board 5 mm white, Acid free 32" x 40"
Foam Board Self Adhesive Foam Board 5 mm white, 32" x 40"
Self Adhesive Foam Board 5 mm white, (32" x 40") 82 cm x 102..
Zenith Repositionable Self adhesive Foam Core Board 5mm 30 p..